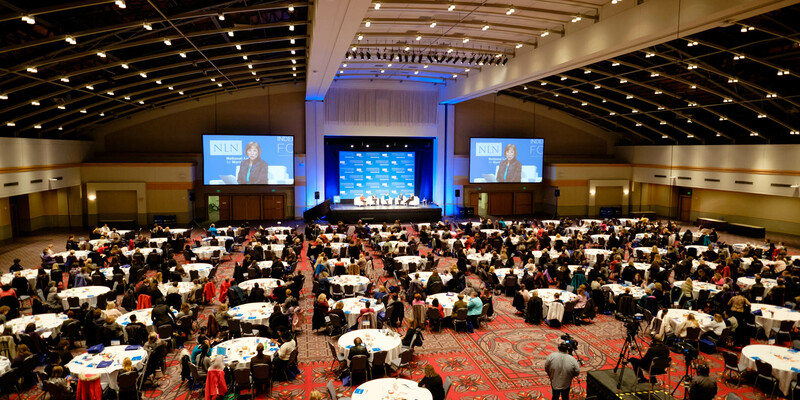 When it comes to connecting with employees, customers, investors, and other key stakeholders in your organization, hosting corporate events is one of the best ways to make an impact. But there’s a big difference between an average event and a memorable one. How can you make sure your event falls into the latter category? Perhaps you’re a Type A personality who was made to host a corporate event? Or maybe the idea of hosting a corporate event is something that keeps you up at night? Whatever the case may be, there are opportunities for you to host a memorable event that drives tangible and direct value for your business. Scheduling is one of the most important elements of planning a corporate event. If you don’t get this part right, it’s possible that all of your hard work from will be for naught. Traditionally, most people assume that a Friday or Saturday night is the right time for an event, but hosting on one of these nights also puts you in competition with other social obligations that guests already have on the calendar – such as weddings or family gatherings. It might be worth looking into other time slots, such as Thursday evenings. Creating a guest list is often one of the more cumbersome aspects of corporate event planning. Not only do you have to think about capacity and costs, but you also have to assume that only a fraction of the guests you invite will actually show up. One option is to use percentages as rules of thumb. For example, you may assume that 85 percent of local guests will attend, while just 55 percent of out-of-town guests will show. If you want your event to be memorable, there needs to be some sort of live entertainment. This could be a speaker, stand-up comedian, or live band. In many situations, a live band makes the most sense. Look around for a band that has experience and can play a variety of styles. The Grooves, a Houston-based band, is a great example. They range from classic and contemporary to funky and fun, which allows them to control the mood of the events they play. Look for a band like this in your area. Every event needs an agenda, which is ultimately tied back to your objective. You don’t just host an event to host an event. You want to make sure there’s purpose and vision behind it. As you develop your objective, remember that everything needs to be tied back to the brand. Sometimes this happens directly, while other times it’s subtle and indirect. Either way, there has to be correlation and consistency. While certain employees will inevitably have responsibilities at corporate events, don’t burden them with too much. Ideally, they should be freed up to mingle, interact, and naturally participate in the event. This ensures other guests get the engagement and experience they deserve. What’s the number one desired outcome of your corporate event? If you’re simply hoping that nothing gets messed up, then you’re going to end up with a safe, comfortable event. If, on the other hand, your objective is to do something different and unique, you’re more likely to host a memorable event that yields dividends for days, weeks, and months to come. Stick with some of the tried and true principles highlighted in this article, but don’t be afraid to step outside the box and do something unique. It’ll make a big difference in how your brand reaches people.